There is simply no denying that social media websites like Facebook and Instagram have some type of influence on our mental health. 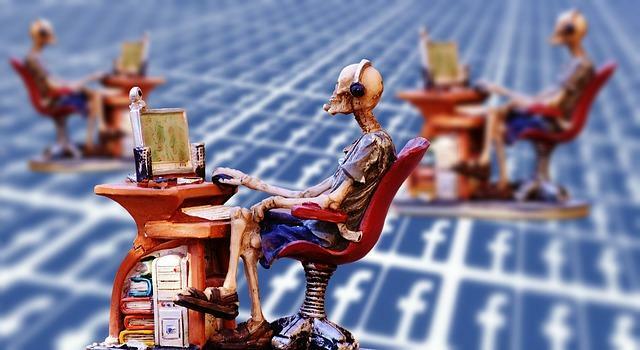 Although Facebook has announced the addition of suicide prevention tools, evidence continues to show how damaging social media can be when it comes to body image, romantic relationships, and overall happiness. Researchers from the University of California, Los Angeles have concluded a study examining certain brain circuits that are activated when a teenager uses social media. Seeing as teens spend an average of nine hours per day on social networks, it’s important to know how all that time is influencing the developing teenage brain. Lauren Sherman, a researcher at UCLA’s Ahmanson-Lovelace Brain Mapping Center and the university’s branch of the Children's Digital Media Center, and her colleagues recruited 32 teenagers. Over the course of 12 minutes, they showed each teen 148 photographs including 40 that the teen had submitted. Each photo featured a count of the likes it had allegedly received, a number assigned by the scientists. The researchers used magnetic resonance imaging to record the brain activity in each teen. Unsurprisingly, popular images turned on the participants’ brains like a lightbulb. "When the teens saw their own photos with a large number of likes, we saw activity across a wide variety of regions in the brain," said Sherman in a statement. Her team’s findings revealed that part of the brain’s reward system, an area of the striatum known as the nucleus accumbens, was particularly active during the experiment. This region is also highly active when we eat chocolate or win money and can be especially sensitive during adolescence. The researchers also noticed activity in a part of the brain associated with visual attention and an area known as the social brain when the teenagers saw that their photos had received a lot of likes. "We showed the exact same photo with a lot of likes to half of the teens and to the other half with just a few likes," Sherman said. "When they saw a photo with more likes, they were significantly more likely to like it themselves. Teens react differently to information when they believe it has been endorsed by many or few of their peers, even if these peers are strangers." In addition to the 40 submitted photos, the teenagers also saw neutral ones, such as pictures of food or their friends, and risky photos, including pictures of cigarettes, alcohol, and teenagers wearing suggestive clothing. For each type, the teens were more likely to hit the like button on a photo that received more likes from their peers, no matter the content. The research team referred to this as the conformity effect. Teens who saw risky photos showed less activation in areas of the brain linked to cognitive control and response inhibition — the dorsal anterior cingulate cortex, bilateral prefrontal cortices, and lateral parietal cortices — compared to those who were shown neutral photos. These regions of the brain are involved in decision-making — moments when we either abstain from acting or go ahead. Similar studies that have analyzed the effect of social media on our mental health have likened it the impact of a drug. Researchers from California State University, Fullerton used brain imaging to examine 20 undergraduate students as they looked at a series of photos and decided whether to press a “like” button. They also filled out questionnaires gauging addiction-related symptoms, such as withdrawal and anxiety. The result of this study showed that participants who were more likely to push the button for a Facebook-related image also had a greater activation in their striatum and amygdala. Together these regions of the brain play a vital role in impulsive behavior. When the researchers took a closer look at the brain reward pathways activated by Facebook use, they found these patterns were similar to those in people who are addicted to cocaine. Source: Dapretto M, Greenfield P, Hernandez L, Payton A, Sherman L. The Power of the Like in Adolescence Effects of Peer Influence on Neural and Behavioral Responses to Social Media. Psychological Science . 2016.